Do you need some PC games to play? Would you rather not pay full price on those games? Well GOG has yet another sale running right now, with some handy discounts on popular titles. 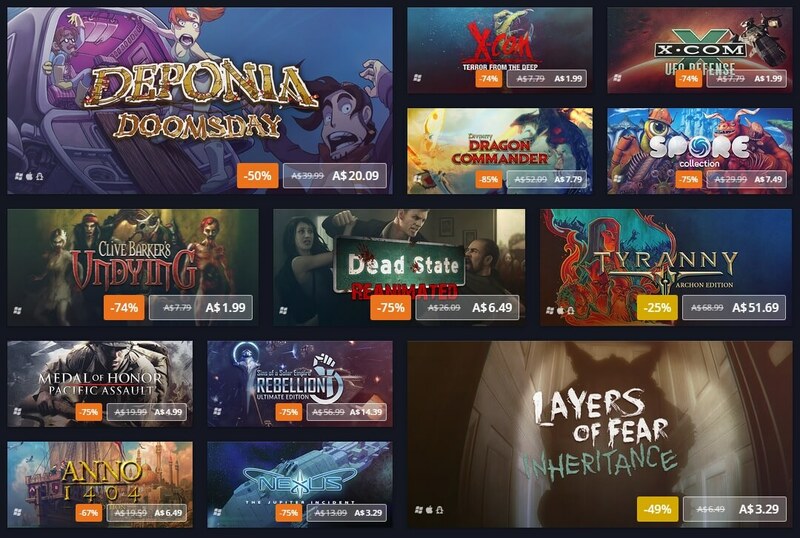 The GOG Spring Sale runs from now through to Sunday, March 12th with discounts on over 500 games. GOG mostly contains older and indie titles, but there are some excellent discounts on popular AAA games. The Witcher 3 GOTY Edition, for example, is currently $30 on GOG if you didn't buy it during one of GOG's other recent sales. Dying Light is also available for $30. You'll find a great collection of RPGs at GOG as well. Dragon Age: Origins is currently 75% off, while Pillars of Eternity and Divinity: Original Sin Enhanced Edition are also available with sweet discounts. We'd also recommend cheap titles like Metro Last Light Redux, Hotline Miami, Invisible Inc and Bastion if you haven't played them already. It's also worth checking out GOG's game bundles, such as the Games with Wacky Weapons Collection and Games for Hipsters.